Safeguarding digital information is essential in today’s highly technical society, and information security degree programs prepare individuals for a variety of related positions. The degree equips students with the necessary skills to evaluate the security needs of computer and network systems, provide advice regarding solutions, and assist with the implementation of security equipment. Information technology degree programs are the best for students wanting to work with computers and related technology. Information security degrees are offered at the undergraduate and graduate levels. Associate degrees provide basic technical knowledge and prepare students for entry-level positions. Bachelor’s degree programs involve more in-depth study of the field and open the door to more career options. A master’s degree program is generally intended for those with previous experience in the field and help professionals advance to management positions. Coursework often includes telecommunications, networking, computer architecture, design of security systems, fundamentals of information technology, web development, and security basics. An information security degree provides graduates with various benefits, such as lucrative salaries and positive job security. Degree holders will likely have a wide range of career opportunities, because there is an expected rapid job increase and demand for positions in the field. When prospective students are looking for the best information security degree programs, there are specific characteristics that are helpful in making a decision. First off, it is imperative that students only consider schools that are accredited. Accreditation demonstrates that an institution of higher learning passes established standards to offer high quality college-level educational programs. Another characteristic that shows that a school is a top choice is its ranking. Esteemed organizations, such as the U.S. News and World Report, rank colleges and universities based on many different criteria. Additional features that are helpful in finding the best schools include academic resources, financial aid programs, practical learning opportunities, and affordable tuition rates. Nova Southeastern University is an example of one of the top institutions that offers an information security degree. Its master’s degree program prepares students to recognize security threats, and implement security measures to prevent these threats. The program enables students to complete a thesis or non-thesis option in addition the required coursework. Full-time students have the ability to complete the degree in as little as one year. Also, Western Governors University offers one of the best online information security degree programs. The university does not emphasize completing credit hours, but finishing rigorous evaluations to measure understanding of the topics. Students are assigned a mentor to help them create a personalized degree plan that sets the own pace for completing coursework. There are a variety of information security degree careers for those who complete related programs. Examples of potential job tiles include information security specialist, security analyst, and information security crime investigator. Information security specialists communicate with computer users to discuss various aspects, such as computer data accessibility, programming modifications, and security intrusions. Security analysts monitor and implement security measures to protect the information for specific organizations. Information security crime investigators evaluate how unauthorized individuals gain access into computer systems and networks. They investigate traces to identify and prosecute the attackers. While the specific information security degree salaries vary on many different factors like location and experience, information security specialists earn average salaries around $68,000; security analysts $77,000; and information security crime investigators $67,000. 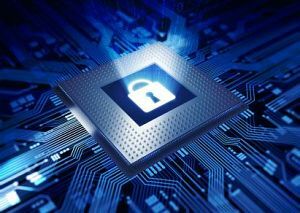 An information security degree is a great choice for those seeking a rewarding career in technological fields.